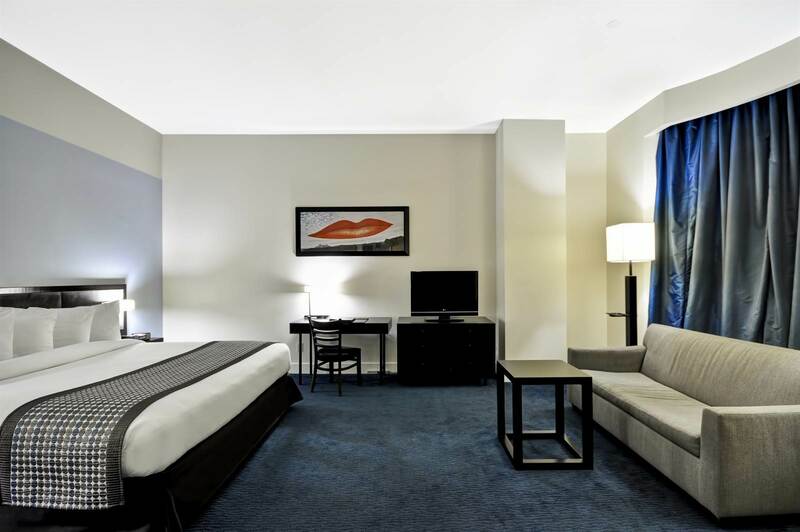 Make your time in Manhattan remarkable in a Dylan Hotel NYC suite. The views from our penthouse suite are incredible, and our Alchemy Suite is a truly unique—and luxurious—experience. Perfect for longer stays or families, the Executive Junior Suite includes a king-sized bed as well as a sofa bed. 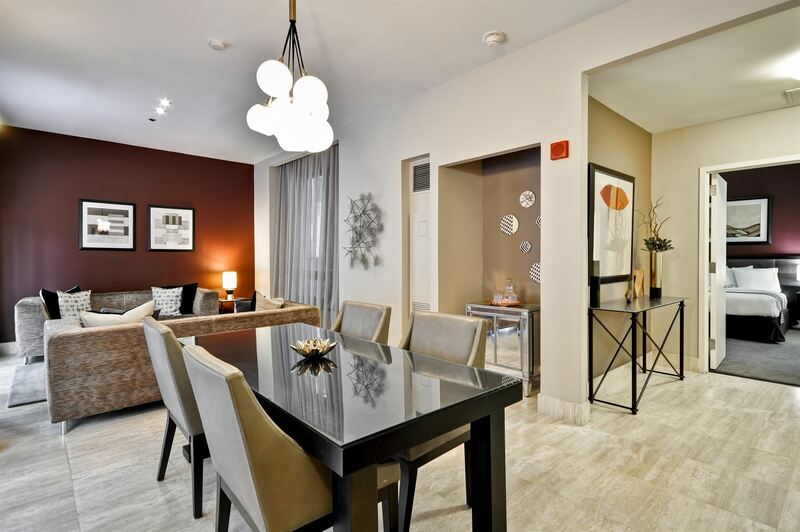 Located on the top floor, the suites feature dramatic 16-foot ceilings and bay style windows with views of Manhattan. 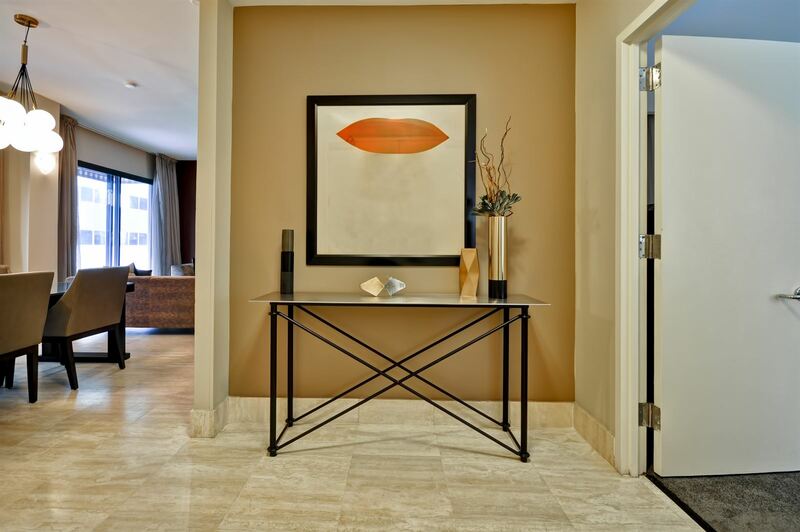 Enjoy a personalized welcome amenity, a spacious bathroom and extras such as an in-room coffee maker with gourmet coffee, a refrigerator, a full length dressing mirror, a large closet and full-sized dresser, as well as an expanded work area with extra seating. 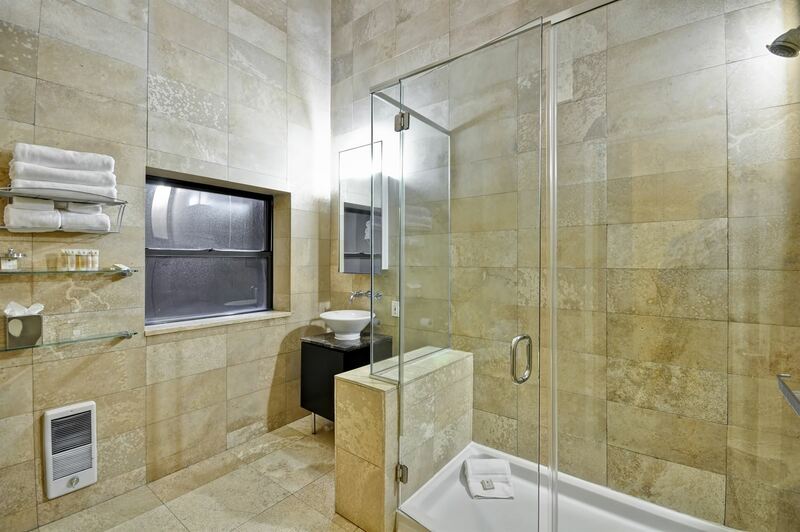 Located on the top floor of the hotel, the Penthouse features two spacious rooms for sleeping and living. 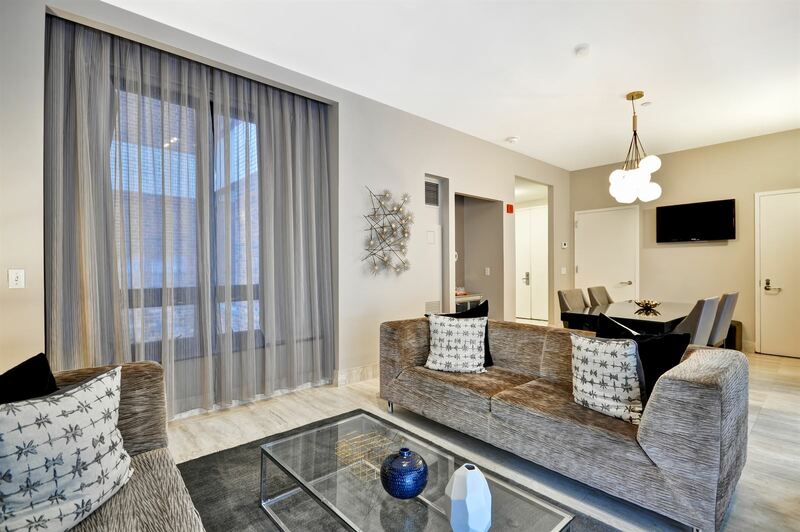 With 16-foot ceilings and bay style windows guests enjoy dramatic views, as well as a private outdoor terrace. 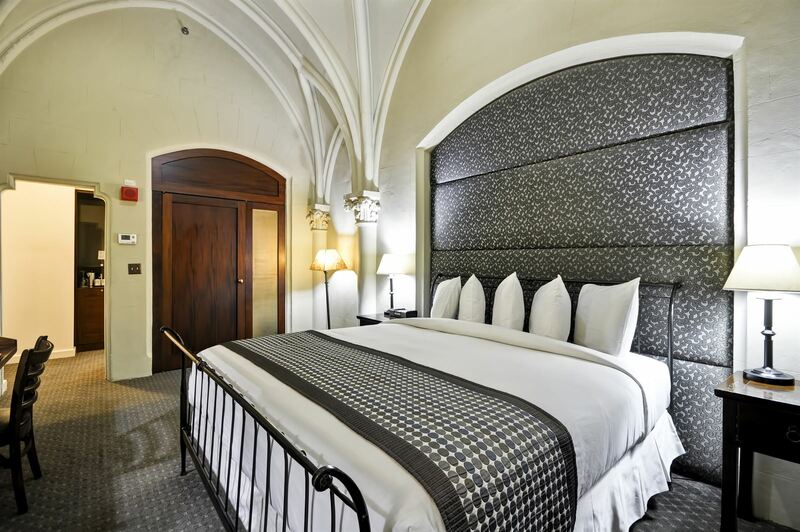 The Penthouse Suite includes a king-sized bed as well as a separate living space. Enjoy a personalized welcome amenity, a spacious bathroom, and extras such as an in-room coffee maker with gourmet coffee, a fully stocked refrigerator with premium snacks, a full length dressing mirror, a large closet and full-sized dresser, as well as an expanded work/dining area with extra seating. Take a step back in time and experience history in the Alchemist Suite which was once used by the President of the Chemists' Club. 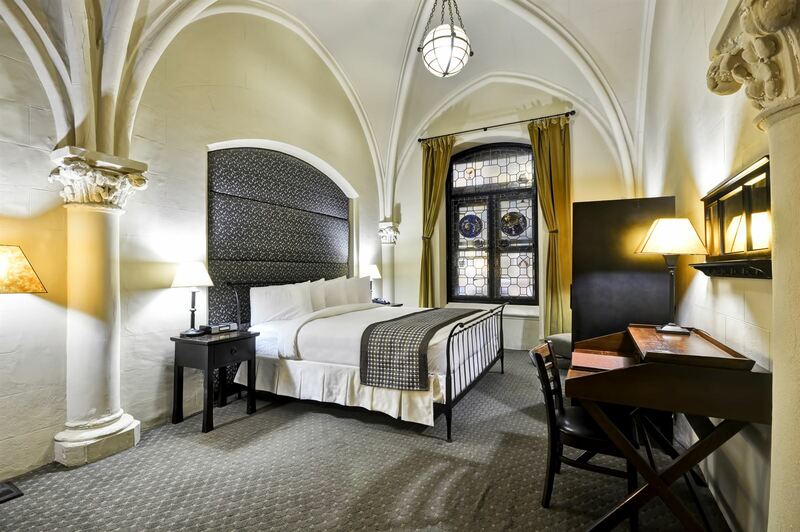 Enjoy the vaulted ceiling, stained glass windows, and unique design elements, as well as the king-sized bed and spacious bathroom. 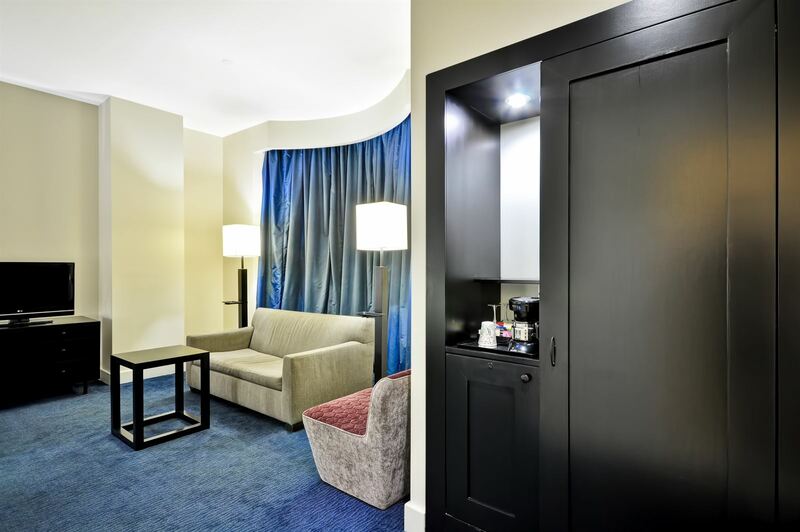 The suite features a personalized welcome amenity and extras such as an in-room coffeemaker with gourmet coffee, a refrigerator, a full-length dressing mirror, a large closet, a full-sized dresser, and an extra seating await you in this suite. 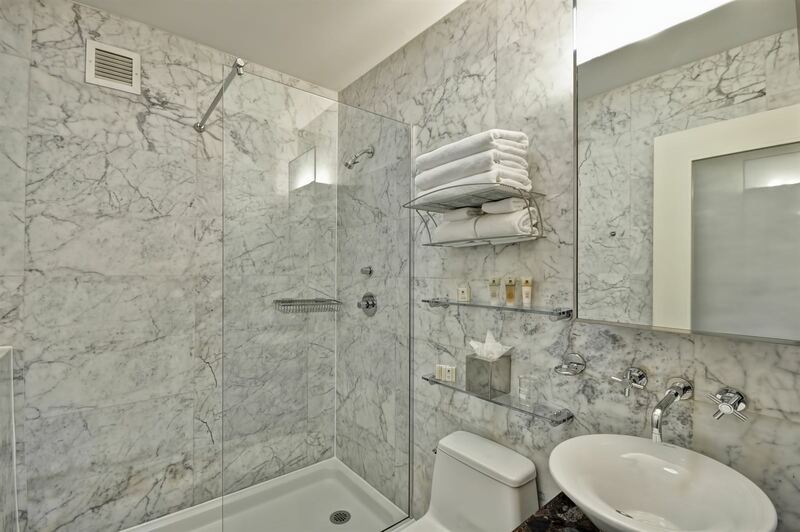 Please contact us directly at 212-338-0500 or reserve@dylanhotelnyc.com regarding Alchemist Suite reservations.